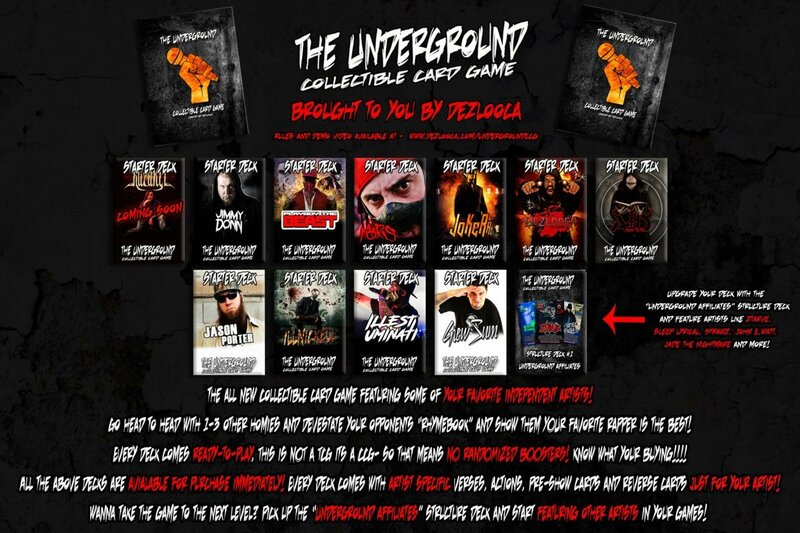 News > Underground News > Dezlooca releases “The Underground Collectible Card Game” featuring Mars, PTB, Jason Porter, Many More! 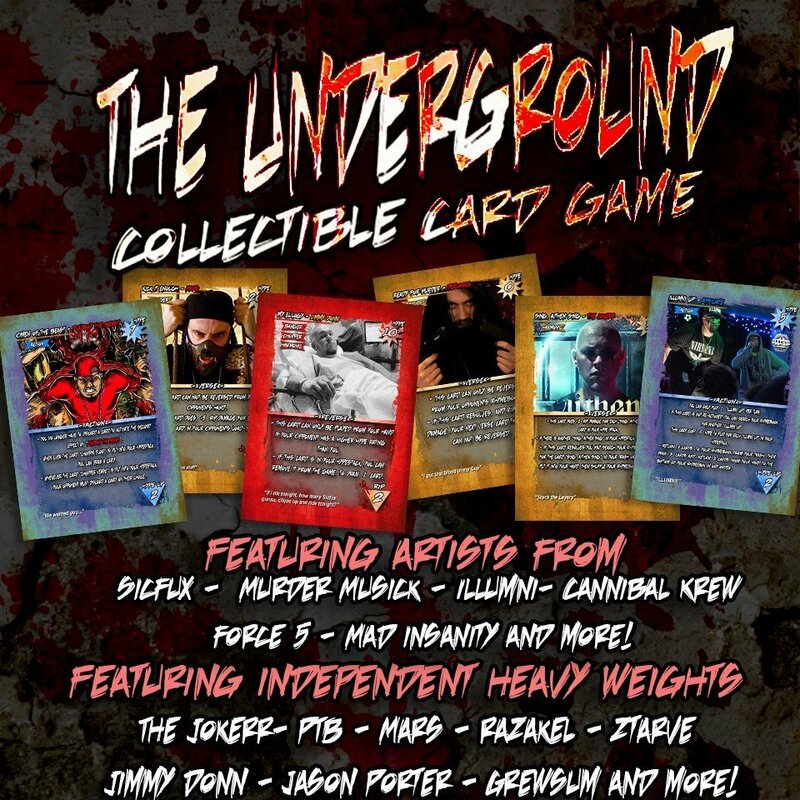 Dezlooca releases “The Underground Collectible Card Game” featuring Mars, PTB, Jason Porter, Many More! The homie Dezlooca has put a lot of time into his latest project. 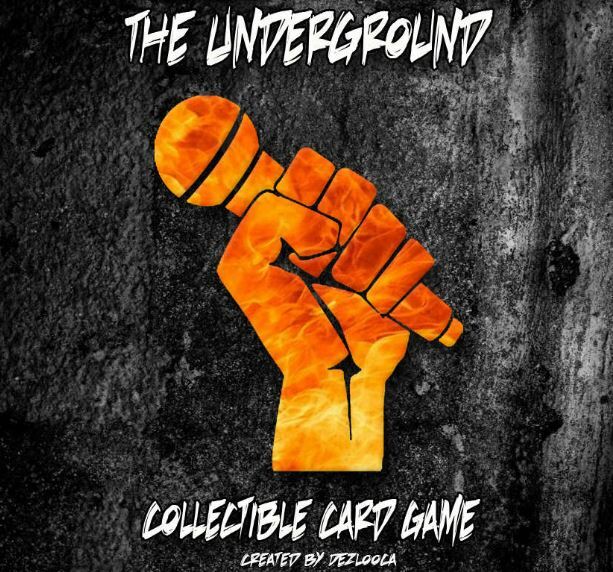 It’s called The Underground Collectible Card Game, and it’s exactly what it sounds like. 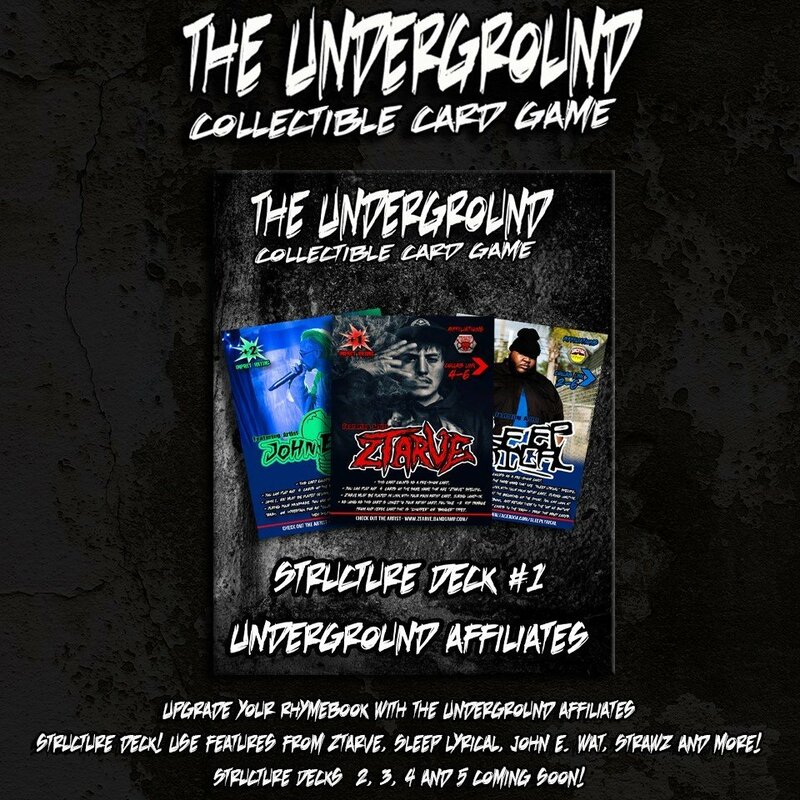 It’s a competitive card game where you battle homies with their own decks that are based on the greatest artists in the underground scene! To purchase the game, go to THIS LINK. To see the rules, you can either click here or just check them all out in their entirety below. Let us know what you think! Rip / Rip Damage – Taking Cards off the top of your opponent’s deck into the trash to win the game. Hype stack – where verse, reverse, action, and reaction cards go to after they resolve without being reversed from your opponents hand. 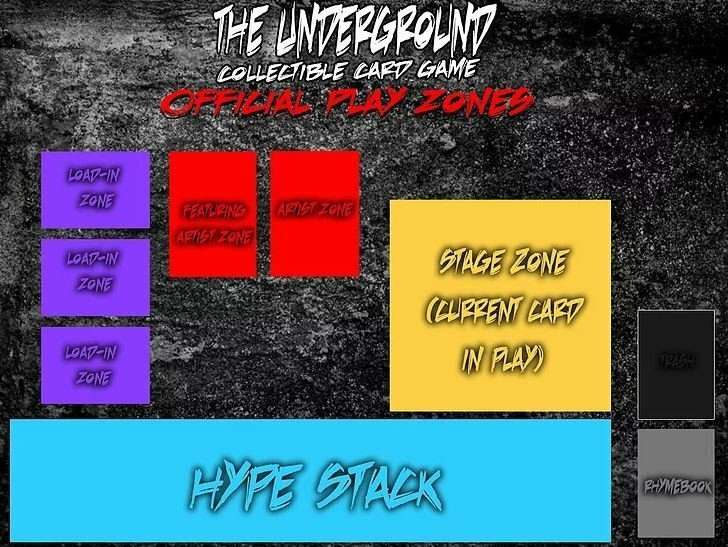 Hype cost – how much hype must be in your hypestack to use a card , hype is determined by the amount of hype up and Rip is in your hypestack, located at bottom right corner of each card, add all the triangle numbers up to find your hype rating. Hype rating- how much hype you have in your hype stack. Rhymebook – you can have no more and no less than 60 cards in your rhymebook. -You can only pack Verse, Reverse, action and Re-action cards in your rhymebook, unless otherwise stated on the card. 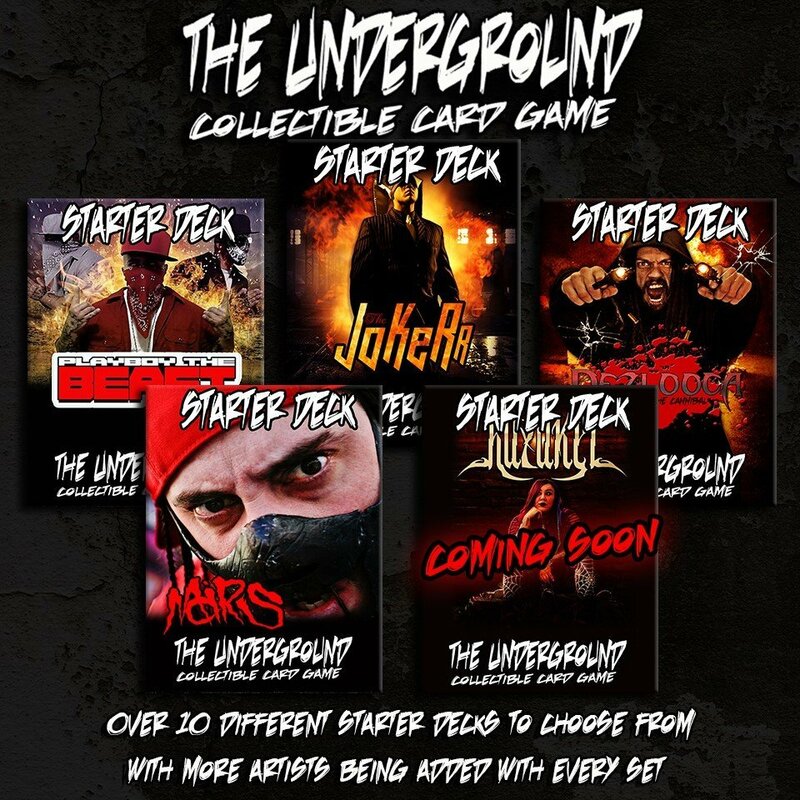 Booking – each player reveals their artist card for their deck. Load-in – each player takes turns revealing Pre-show cards from their Pre-show decks, you can only play 3 pre-show cards during load-in phase. Mainphase – Turn player plays Verse, and action cards from their hand and artist abilities off their artist card. until they choose to end their turn or turn is forced to end via opponent successfully playing or overturning during rip damage 2 reversal cards. The player with the lowest impact rating goes first during the Load-in Phase – The player with the highest impact rating goes first during the show. IMPORTANT – You may Muligan your starting hand as many time as you wish until you have at least 1 Zero hype cost card- or verse card that can be played for 0 on first turn. Winning the Game You win if your opponent cannot overturn cards from his or her Rhymebook, or your opponent ends their turn with no cards in their rhymebook. Taking Rip Damage To simulate taking damage, an opponent overturns cards from his or her deck (Rhymebook) equal to the amount printed in the Damage Triangle (plus or minus any other effects). LIMITS – You can only play 3 Verse cards per turn, and 3 Action cards per turn. You can only activate 1 Pre-show Card effect that is activated by returning it to the pre-show deck, Per turn. Reversing a verse or Action You can reverse your opponents verses or Actions in one of two ways: 1. Playing a Reversal from your hand You may only play a Reversal if your Hype Rating is equal to or greater than the hype cost of the Reversal AND the Reversal is the appropriate type to reverse the card played. If all the requirements are met, the verse or Action is reversed and trashed. Any effects listed on the Reversal card take effect, then any damage in the Damage triangle is dealt to the player whose card was reversed. The Reversal is placed in your hypestack (any damage value on it increases your hype rating). your opponent’s turn ends if you Reverse From your hand or Rhymebook 2 Verse or action cards during their turn, or if a card effect states otherwise. You are not required to play a Reversal from your hand. IMPORTANT: You may not do any of the damage indicated on a Ripped Reversal. You can play from your hand or overturn during rip damage, Both a Chopper and a Banger reversal card or (re action card for actions) and “stack them” to reverse the 1 hybrid typed verse. THIS COUNTS AS 2 REVERSALS PLAYED AND ENDS YOUR OPPONENTS TURN REGARDLESS OF EFFECTS! If a reversal has more than 1 typing, it counts as 1 reversed card when it reverses a card. 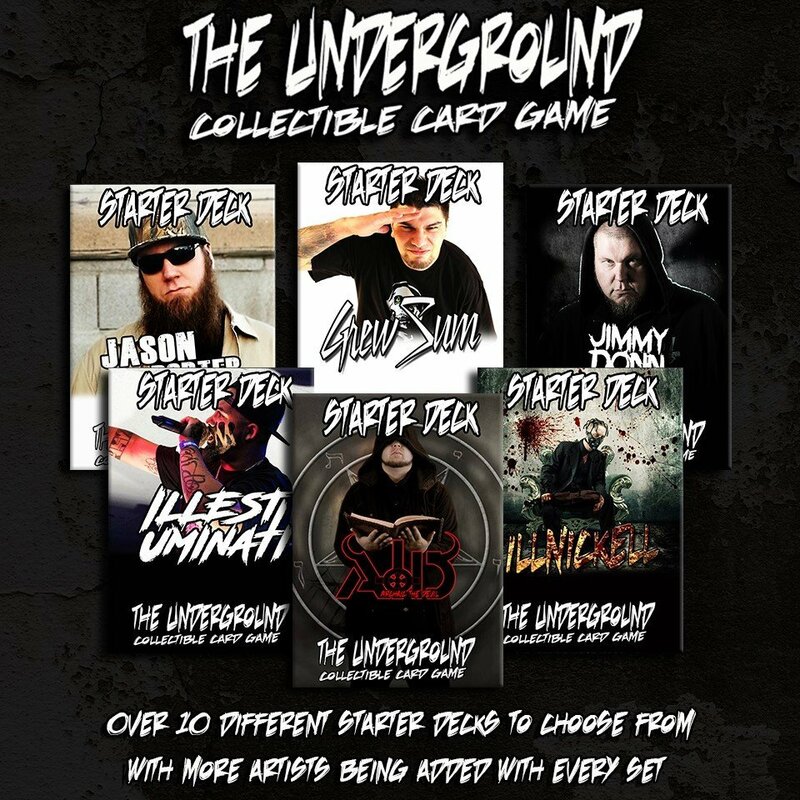 Any affiliation your artist card has you can play cards with the same symbol/ affiliation. This counts for – Verses, Reverses, Actions, Re-action, pre-show cards and Featuring artist cards. IMPORTANT – Artist specific cards work the same way as affiliations do, they are just artist specific! CARD EFFECTS CAN CHANGE THIS! Often timez Card effects break the basic rules of the game – I created this game by myself so if there is any disagreeing about rulings.. – Please send and email to Dezlooca@gmail.com – Or please send a message via Facebook.com/Dezlooca – I can rule on any problems in game!